With 2019 right around the corner, it is the right time to take a look at where you are in your career and how you can improve upon what you are already doing. As with any career, you need to go above and beyond to be the best. The same goes for real estate. Too many times people find themselves trying out different approaches and strategies but never really committing to one. So they wind up bouncing around and never giving any one strategy the time to actually develop some traction. So the key here is to pick one discipline and fully commit to it. This could be setting a goal of making 15 calls a day or taking a shorter lunch, working 30 minutes later or getting into work 30 minutes earlier. Whatever you choose as your one thing to focus on can become that first step that will make everything else automatic. In order for your chances of successfully bringing forth this new behavior, you need to make a verbal commitment to someone who will hold you accountable. This could be a mentor, parents, friends etc. You need to really know your stuff. Nothing will help start your relationship off on the right foot more than showing a homeowner you know the market inside and out. When you show that you have vast market knowledge, people will trust you that much quicker. They will feel more comfortable with hiring you and will more than likely go along with your suggestions on pricing etc. 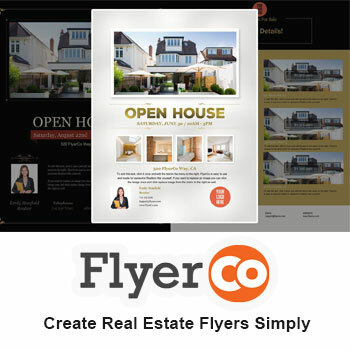 Do you your homework each and everyday and stay abreast of new listings, expired listings, price reductions etc. How fast you respond to an email, text or missed call really does matter that much. When you respond within minutes of a client reaching out to you, your client sees that they matter. Now you can’t always respond right then and there but you definitely don’t want to let the day pass without a response, so at least respond before the end of the day. The same goes for an incoming call, answer the phone. No. Matter. What. Miss the call, call right back. Never put following up to the wayside, it will definitely hurt your business and reputation. The most successful people in the world all have mentors. Finding the right mentor can really set you up for success. When you have a mentor, you have the opportunity to learn from their past experiences, both good and bad. Your mentor will also benefit from their relationship with you. While they are helping you, you will also be helping them by asking valuable questions and throwing out fresh ideas. Feedback both positive and not so positive is the driving force behind you becoming a top real estate agent. A good place to start is with past clients. Send out an email and inquire about how their experience was with you and find a way to make it anonymous. What you will find on your journey to bettering yourself is that it is never all about you. It is about who you surround yourself with and who the people are that are giving you feedback. As we move into 2019, give serious thought to those that are in your inner circle. If you find that you are missing some good folks, see who the top producers are around you. You don’t want to wait for the person outside your building and start talking to them but you do want to give thought to the type of person they are. What have been their achievements? What is their personality like? How do they market their properties? From this, you have some ideas to start brainstorming how you can begin to spruce up your game. Good business relationships are everything in real estate. They will always lead to more leads, referrals and sales. Good communication is key in building good business relationships. Reach out to your clients at a time that works for them. Be proactive about everything. Whether it is a new home that just came on the market or where they are at in the selling process, people want to know where they stand at all times. Be a good listener. Find out what are the priorities for your client so you can give them the best options for what they are looking to achieve (i.e. highest price, quick sale). Always value your clients’ time. Avoid cancelling any meetings unless you really have to. Real estate is a tough industry. You really have to fight tooth and nail to become a top producer. With 2019 right around the corner, there is no better time than the present to take stock in how you are conducting yourself as a real estate agent. 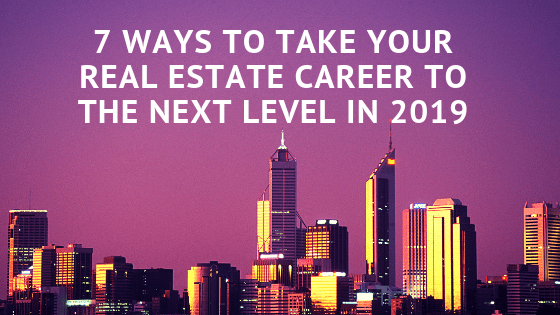 The above tips will help you up your game and take your real estate career to the next level. Here’s to rocking 2019!